This is my white teddy bear which I have had since I was 2 years old. I am now 45 so this makes this teddy at least 43 years old. 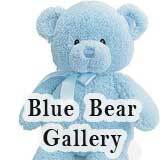 I have always had mixed feeling about this bear. 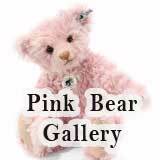 She is my oldest teddy bear but I don't seem to have many memories of her from when i was very young. Plus she was sort of a replacement toy. I owned a white teddy bear which I Iost in my local bakery. 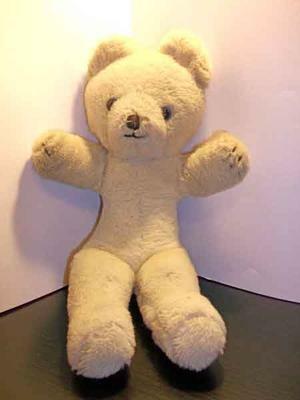 I cried and cried so much that my mother took me back to the bakery who did not have my bear but had found another white teddy bear, obviously lost by some other child. This bear became mine and has been with me ever since. I have always thought she is a rather unusual teddy bear due to her shape. She has a waist and thighs and a rather protruding behind. She must have had a label once on her leg but someone has removed it. Her eyes are blue and black plastic and she feels like she is filled with hard solid foam. 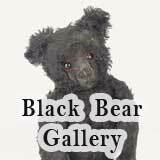 I have never seen another teddy like her and would love to know if anyone else has seen a similar bear or perhaps even know what company made her. I have exactly the same teddy. Got from my Godmother who lived in the UK. The teddy is globetrotting with me since more than 55 years. Always at my bedside. My mum has the exact same teddy bear named white ted, she got him when she was born (1965) so he is currently 53. My mum has always looked to find one on the internet the same as white ted. 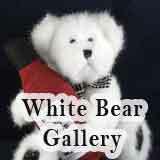 I decided to search up "white 1960’s teddy bear’" and the first image was yours I showed my mum and she was so surprised. I too have exactly the same bear, but male and he's called snowy. I got him when my folks worked in Fiji, when I was about 18 months to 2 years old. I could swim from only a few months old and he was a replacement for my first bear, Honey. I put Honey in a river to have a swim and she was swept out sea and I was distraught. It is my earliest memory. I’m so pleased to see so many others have saved this childhood toy. I’ve had mine for over 60 years it’s the only toy I have kept. Mine was restuffed in the 70s as the foam stuffing had disintegrated. I have many photo of myself with this bear, took him everywhere! Mine has no tags attached. How exciting to see others. I still have mine that I had as a baby in 1961. He is 57 years old. Perfect condition but flat as a pancake. Poor baby needs restuffing. Not sure where to go but must find someone. Any ideas! 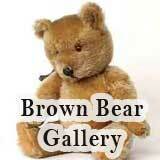 Your teddy is almost certainly a Wendy Boston bear. I have a similar one from the mid/late 50s in (faded)pink, with blue/black eyes. The label would have been on the leg as you say. The stuffing was foam, making these bears some of the first washable ones. Mine was loved so much I had to restuff her because the stuffing disintegrated. Hope this helps. 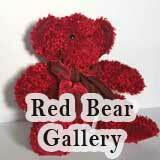 Looking at your bear she has a lot of the characteristics of a 1960s Wendy Boston Teddy Bear. However you say her eyes are blue and black and i thought they were only Amber and black, but perhaps it was a later make. perhaps someone else will be able to clarify your white bears origins.